You can travel in lot of ways from Singapore to Malacca......you can travel by air, by taxi, by your own car or a rented car. You have so many options, but the best way to travel is by bus. 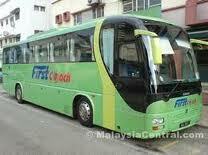 There are a variety of bus from Singapore to Malacca on a daily basis and they are real value-for-money. Though, the price is very low the buses are very comfortable and are mostly air-conditioned. Definitely recommended for Malacca bound tourists you can try them out the next time when you are in this part of the world. It is true that more money you pay, the better and faster your trip into Malaysia. Moreover, the expensive buses tend to leave on time and also use the peaceful Second Link. They also don't stop along the way. The cheap buses tend to leave late, use the slower route. If you book early so that you get the best choice in the seat, during peak times it is very difficult to get seat in the bus of your choice if you are late in booking. During peak times like Friday and Sunday evening and the Chinese New Year period is a busy time at the immigration checkpoints. You have to know the immigration processes as well. All buses will make two stops - one at the Singapore immigration and one at the Malaysian immigration. At both immigration checkpoints, you should come down the bus with all your luggage, pass through passport control and also the customs, and then board the bus again. 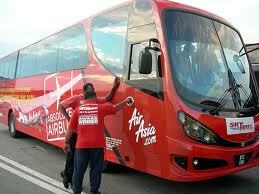 A bus is one of the most convenient modes of transport into Malaysia, not to mention the cheapest. So if you're thinking of doing a day trip into Malaysia from Singapore – travelling by bus is certainly one option to consider.